An unexploded World War Two bomb has been found in a canal, leading to a planned controlled explosion. 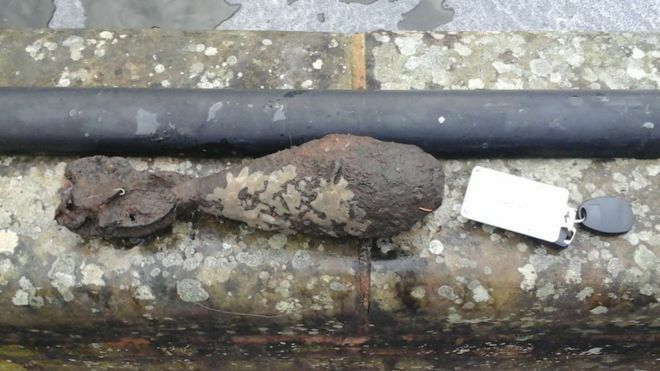 Bomb disposal experts were called to Bratch Locks in Wombourne, Staffordshire, after a member of the public discovered the mortar. It was moved to a disused quarry for a "safe and controlled explosion", Staffordshire Police said. The force said a cordon had been put in place on the canal, while experts said there was no risk to the public. Police said the mortar was found in the canal at about 10:25 GMT and the controlled explosion was conducted at about 15:05.